We all want to keep our trees clean, as they help beautify our home and yard, however, many times this can be very hard to do. And that’s where the need for a dedicated tree trimming service comes into play. Arbor View Tree Care is a team of professional arborists that will help you trim those trees you want to be beautified as fast as possible. We are 100% focused on offering you the very best value for your money and you will be quite impressed with the unique value that you can get in the end. 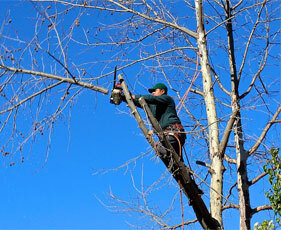 Arbor View Tree Care makes sure that all services are affordable. Yes, there will be times when affording such a service can be hard, but with our help, you will be able to get the results you want fast and easy. We have dedicated trimming equipment and professionals that will help you beautify your trees and take them to the next level. It will be a challenge, to say the least, but once you get in touch with us you will see that nothing is impossible. Nothing is hard to do for us, as we have the experience and expertise to pull this off. We will be there to help you and you will be very impressed with the great range of results that you can find here. It’s safe to say that once you work closely with us you will have no problem reaching the very best results and that’s what matters the most. It’s safe to say that investing in the visual appeal of your trees is very important. One of the best ways you can do that is by contacting our team and letting us know how we can help. We will help you beautify your trees by trimming them and making them look great right away. Quality is very important for us and we always do all in our power in order to offer our customers the results they want. Nothing is impossible, we are always committed to cleanliness and a good customer service. And since you can contact us 24/7, you can rest assured that the value will be very good all the time. Also, you can rest assured that all information you need to know will be shared with you fast and easy. You will know that even before you contact us, so there are no hidden costs or fees. That makes our services very professional and rewarding because you always know what you are paying for and that works to your advantage for sure. So, do you want reliable tree trimming services? All you have to do is to hire our team right away as we will be more than happy to assist. Arbor View Tree Care is always here to handle your inquiry, all you need is to let us know what we can do to help and we will gladly assist! So, just get in touch and the experience you will receive here will be second to none!